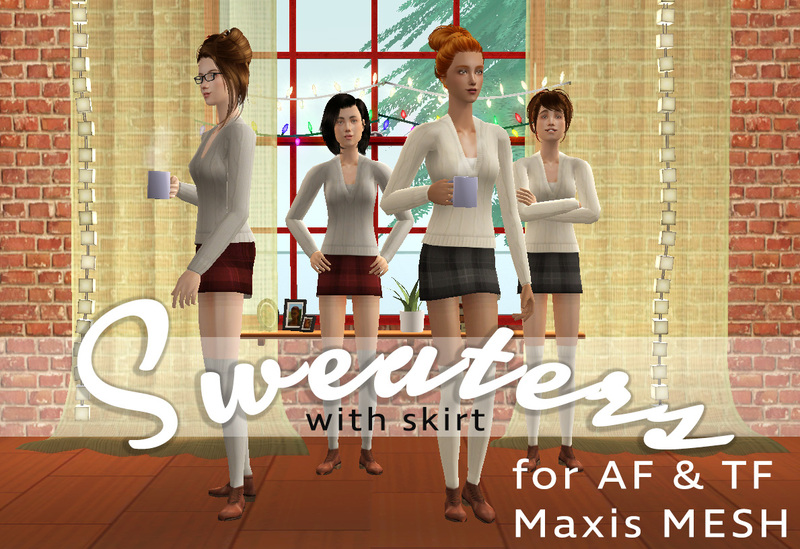 Mod The Sims - Sweater with skirt - full outfit for AF and TF! Sweater with skirt - full outfit for AF and TF! Hi everyone! Here I have something I made for the monthly Winter wonderland -theme. It's full outfit with sweater, skirt and socks and it's available for adults and teens. Okay..the skirt is quite short for winter weathers but atleast it has knee socks to worm up the legs! So both of the outfits are made to Maxis mesh so no mesh needed. The adult outift mesh is from the Nightlife expansion pack so you will need that to make the outfit appear in your game, teen outift is from base game. Thank you dharden for correcting my mistake! It comes in two colors, grey/red and white/grey and both of them are included in the zip. And they are named as their color so you can easily delete the color you don't want. 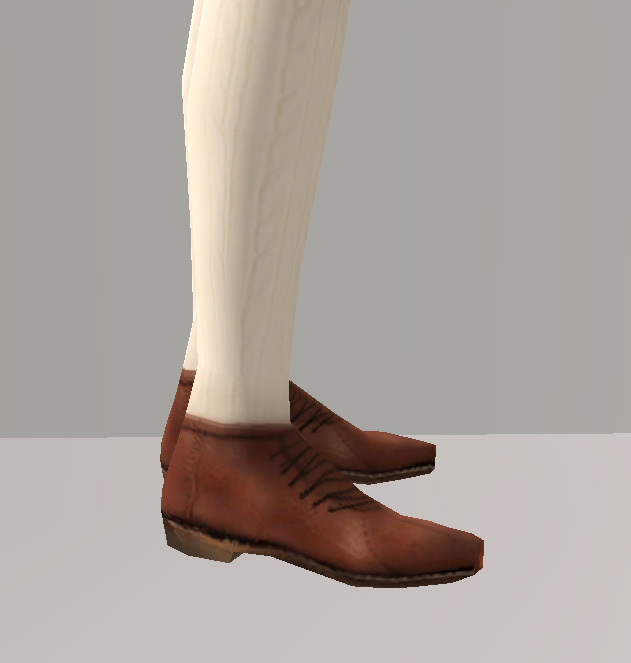 In game the outfits appear in the everyday and formal categories!